When I started this UFO challenge, I thought I would whip through all of my unfinished projects and empty one crate after another, lickety-split! Yes, I am getting UFOs done, but very slowly. It feels like I am swimming through mud. At least half of the circles and diamonds are finished on the Floral Alphabet Quilt. Here is our granddaughter’s third birthday gift. She loves Winnie the Pooh and gathers Pooh, Piglet, and Eeyore around her when she watches the video. Now Tigger has joined the gang. Kanga, Roo, and Rabbit are still in the planning stages. 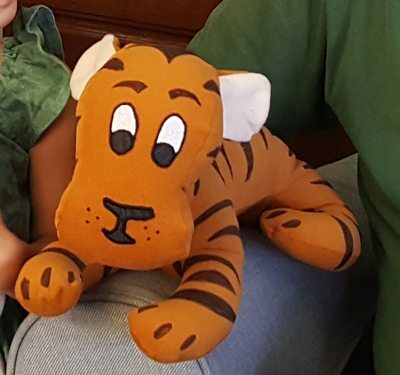 Tigger was made from the original pattern that I bought back in the ’60s. I will use it for Kanga and Roo, too. In my files I found a pattern for Rabbit, so he is next. 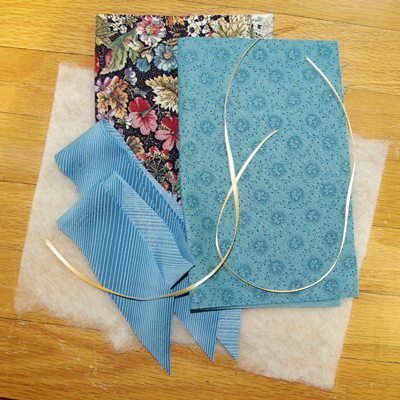 As promised the tutorial for the Thread and Needle Roll is available with step by step instructions. Just click below on the picture of the ingredients. Here goes. Don’t know where else to put my ufo. 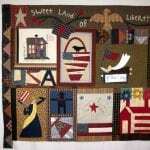 That is a great quilt, just in time for July 4th! Thank you for sharing. Now I have THREE people on the list! As usual, another beautiful pattern. 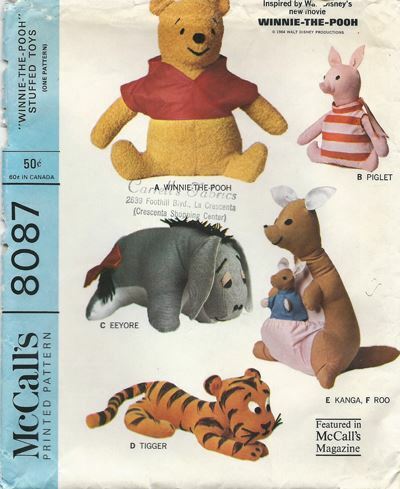 Somewhere in my pattern collection, I have that same Winnie the Pooh pattern. I believe Eeyore was the first animal I made. Awww! Someone had given her Eeyore, which looks a lot like the one from the pattern, so I didn’t have to make him.